I have been using the same foundation for around 15 years now and even though there are some great foundations out there, I haven’t managed to find one that matches both my skin type and my shade. Nothing beats my current one and I’m shocked that a foundation I can buy in Boots for less than £10 has now replaced it! My skin tone is medium with yellow undertones and I have combination dehydrated skin with an oily t-zone. Its called combination skin, however, I would call it complicated! I didn’t think I would find it difficult to find a foundation shade as my colour sits in the middle, however it seems lots of brands can’t seem to get their undertones correct. I never use makeup I can buy on the high street like boots and Superdrug as I have always been a luxury girl, but as I have always been obsessed with the sleek contour palettes I so thought I’d give their foundations a go. Their new Seek Lifeproof Foundation is AMAZING! First of all, the brand has always been Woke AF! This foundation has 24 shades and Sleek have been making dark foundation for years… way before it was cool to have makeup for dark skin. These guys have genuinely been representing the darker skin girls from the start. In fact, their new ‘my face, my rules’ campaign touches on this as well as other issues such as bullying and makeup shaming. My face. My rules, is Sleek’s way of positively recognising and standing up for everyone’s right to define their own beauty, without boundaries. They want to spread the message to let people know that it’s ok to be obsessed with makeup, to put whatever you want on your face, whenever and however you want. The company have been making it their mission to combat the judgement many of their customers face every day; the negative stereotypes that come with a full face of makeup, or a bright red lip, or a bold brow. They have been working with lots of influencers that you might recognise. Watch it here. So is the foundation any good? 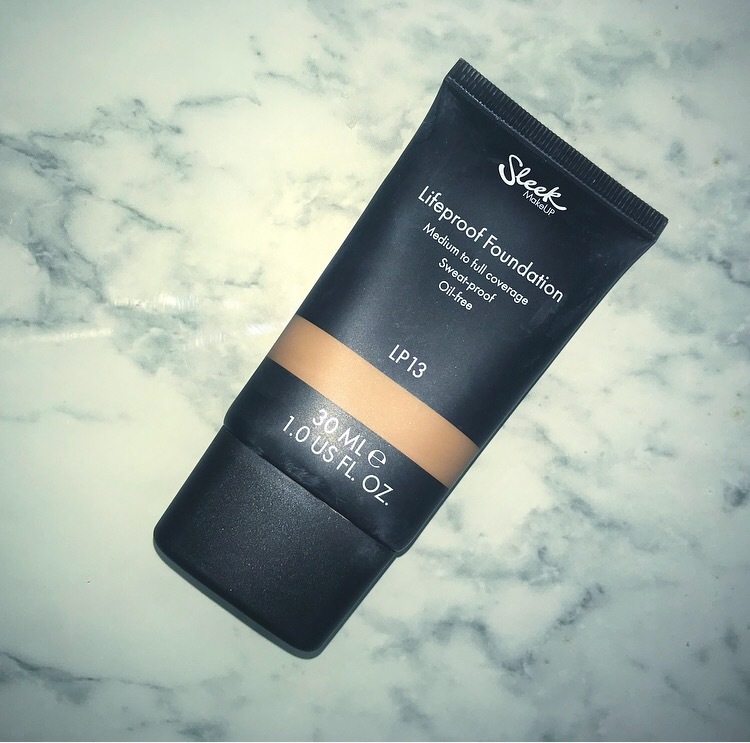 The foundation is an oil free foundation, with medium coverage, however once applied over their Hydrating Primer, it comes on with an amazing dewy finish and you only need a little for full coverage. Carefully infused with liquorice extract which helps to brighten tired and dull skin and with the energising features of Biophytex. The pigment in the foundation is so high you only need a small amount. I would recommend building it up slowly. It glides onto the skin and stays there all day without moving and stays sort of matte but dewy all day. It doesn’t transfer onto clothes and the thin layer evens out skin tones and conceals imperfections. The soft-focus powders create a blurring effect and help to reduce the appearance of fine lines. The oil and sweat free formula means you can wear it in the gym. I do all the time and it stays in place. This primer is amazing too! I perfects the skin without that fake matte velvety finish that I am surprisingly not a fan of. There is a mattifying primer for those of you who like that look. The hydrating primer includes glycerin and mineral oil which provides skin care benefits such as fighting off dryness and maintaining hydration levels. I apply the primer first and then dot on a small amount of foundation on the skin. Always apply less than you think you need and build up. I smooth mine over the face with a foundation brush and then even out with a sponge or beauty blender. I apply concealer, setting powder and then the rest of my makeup which all seems compatible. It’s so easy to use. I can honestly say, I am in absolute love with this foundation. That’s me above with my foundation on today and my hand earlier. Look at the colour difference, honestly, I told you my skin is complicated, the colour and tones are always changing. Sleek unlinke lots of other more expensive brands has got my colour spot on. I highly recommend it to those of you who would are fans of NARS, Chanel, Bobbi Brown and Dior. This Sleek one is a third of the price and equally as good. Controversial but true.